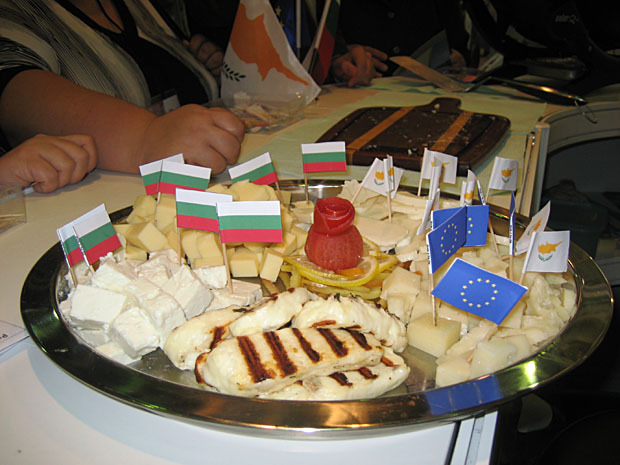 “EU Cheese Please” the multinational project on information provision and promotion measures of European cheeses (Halloumi, White Brine Cheese, Anari, Kefalotyri and Kashkaval) successfully participated in World Food Moscow Exhibition from 15-18 September at the Expocentre in Moscow. 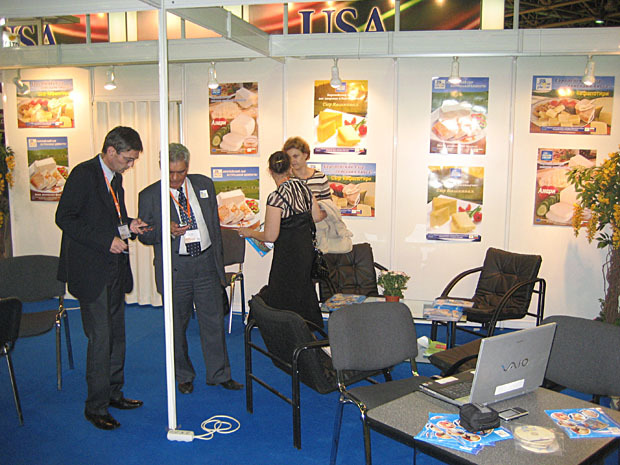 This exhibition is an important business event in the food industry. 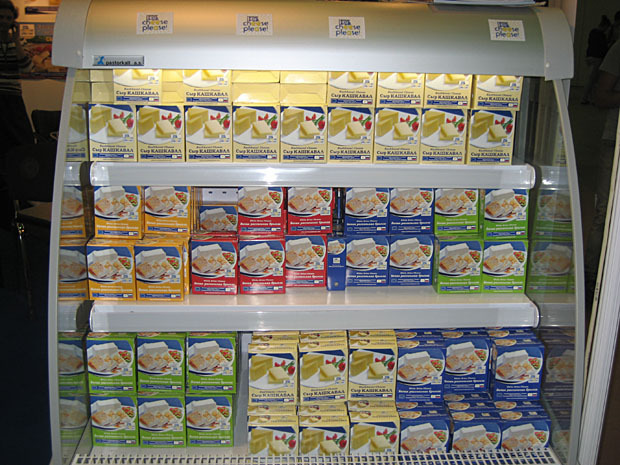 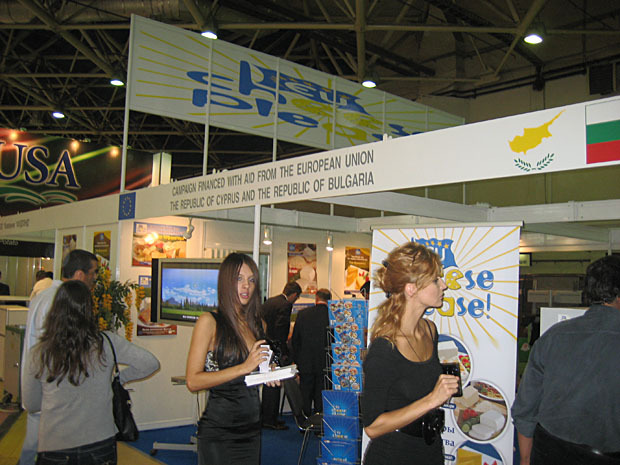 The “EU Cheese Please” stand C203 was located in Pavilion 2 Hall 2. 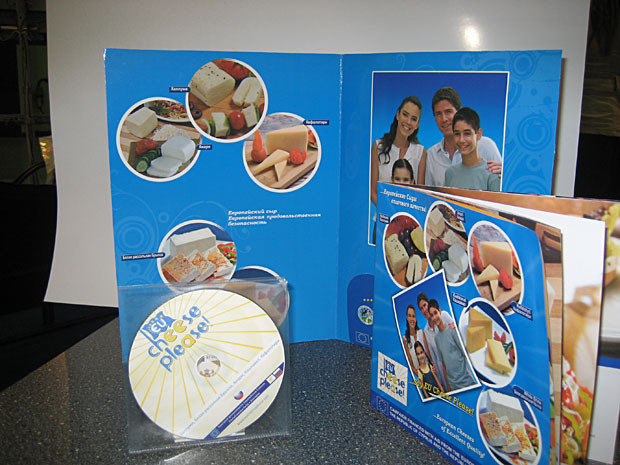 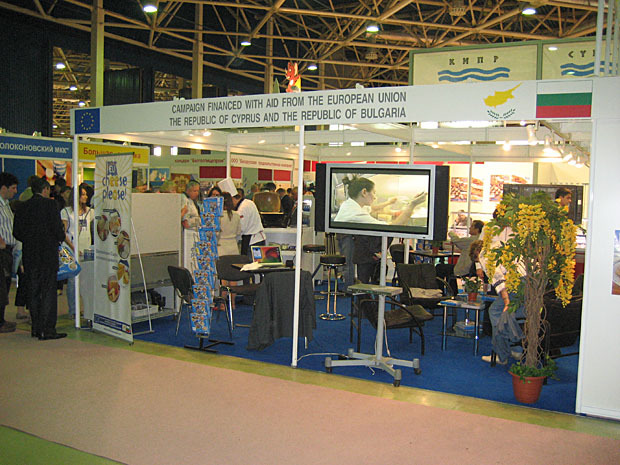 The stand featured many attractions which included a colourful display of promotional posters, folders, information brochures plus a continuous televised relay of especially produced videos and a TV spot. 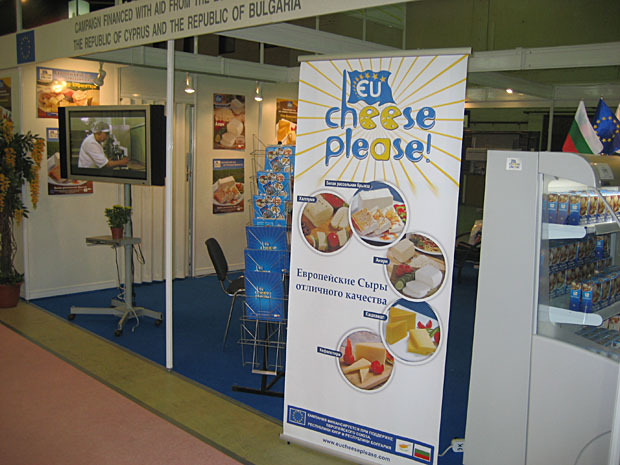 The videos and TV spot in Russian depict the European production methods of the cheeses in their country of origin, easy to follow recipes and beautiful a display of all the cheeses. 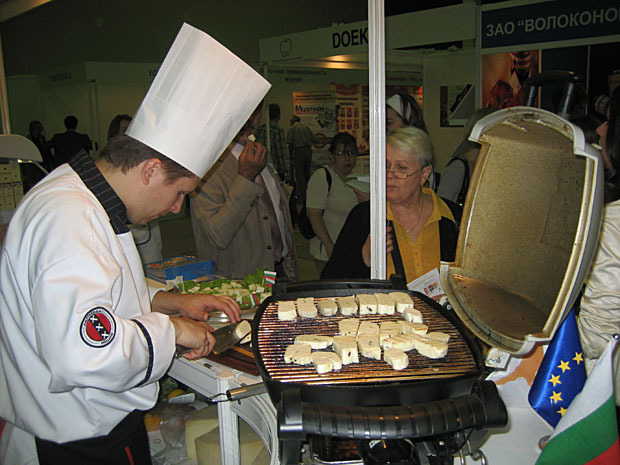 A special feature of the stand was the culinary chef who grilled delicious Halloumi and prepared tasting platters of the European cheeses, White Brine Cheese, Kefalotyri, Anari and Kashkaval that friendly hostesses offered to visitors of the stand. 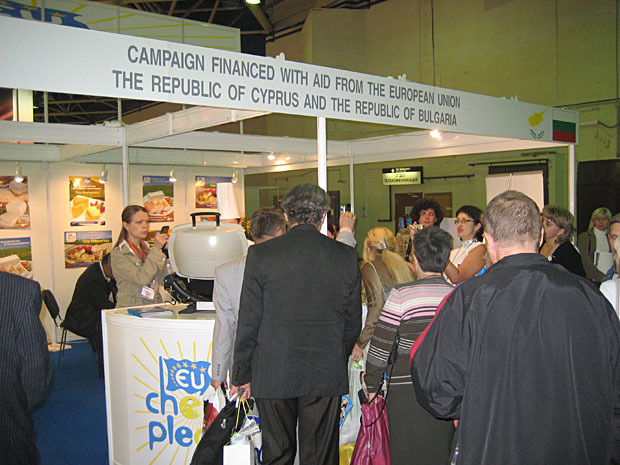 An interpreter was on hand throughout the exhibition to assist when required. 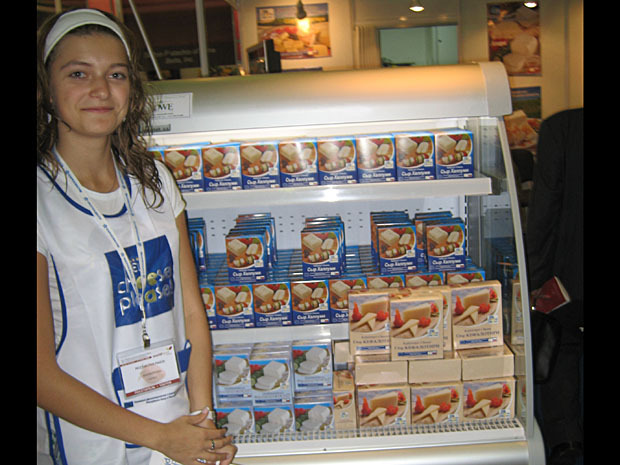 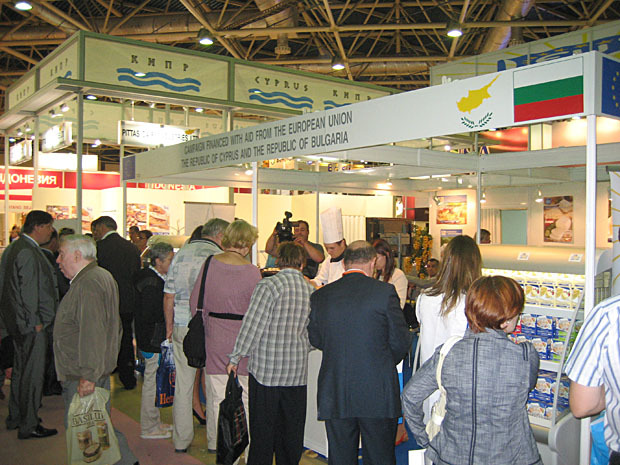 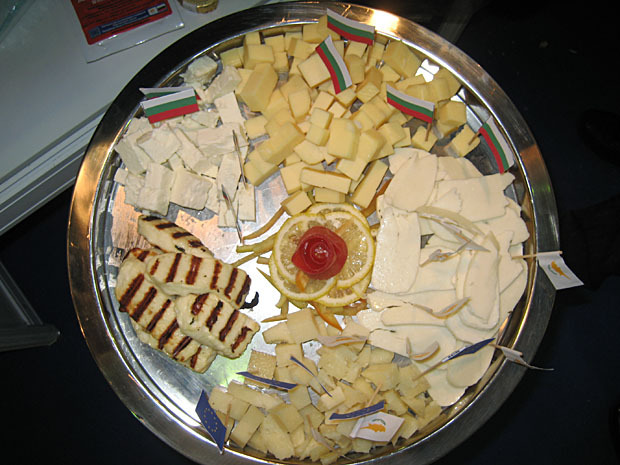 The exhibitors and visitors of the “EU Cheese Please” stand were delighted with their participation at the World Food Moscow 2009 exhibition.